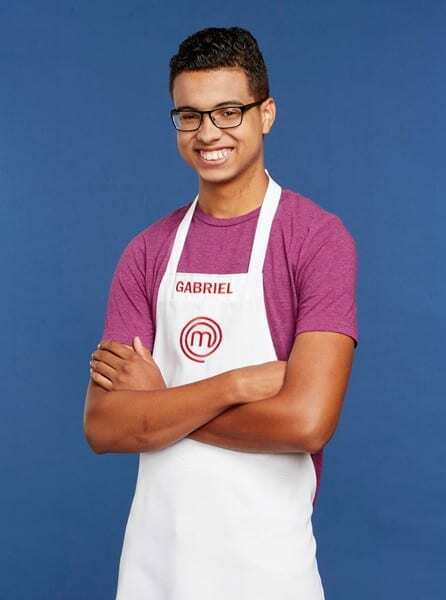 As a former Masterchef contestant, Gabriel Lewis under the tactful mentorship of Chef Gordon Ramsey went on to be top 7 of his season. 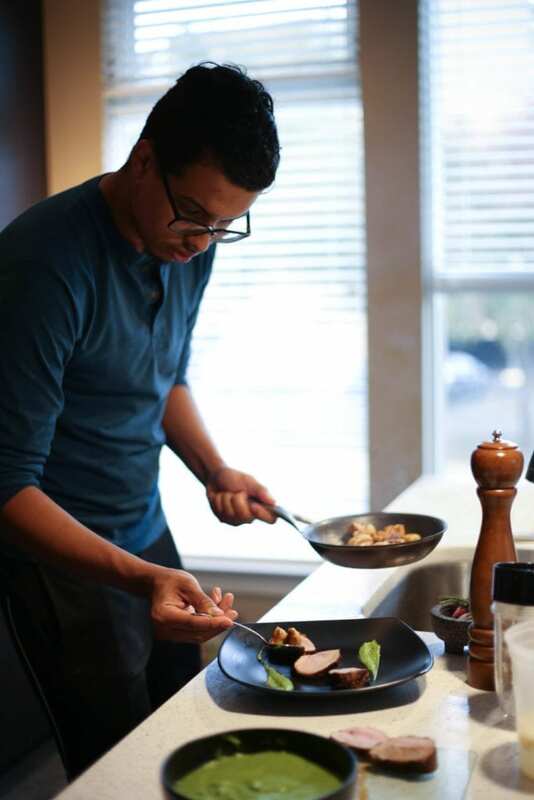 Since leaving Masterchef, Gabriel’s culinary career has been checkered with innovation, authenticity, and of course beautifully crafted dishes. 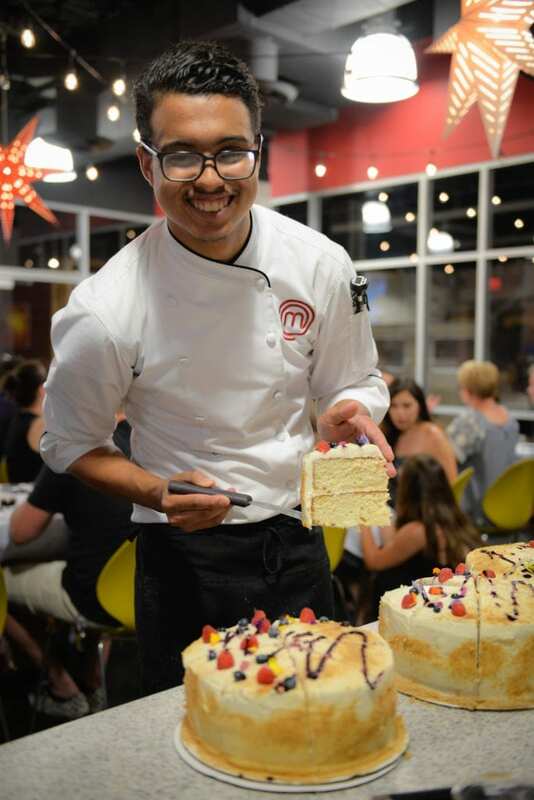 In this interview, he talks about his journey as a young and innovative chef, and he shares how he expresses his creativity through his recipes and his cooking. You rose to fame after you appeared on Masterchef Season 8 and made it up to the top 7. 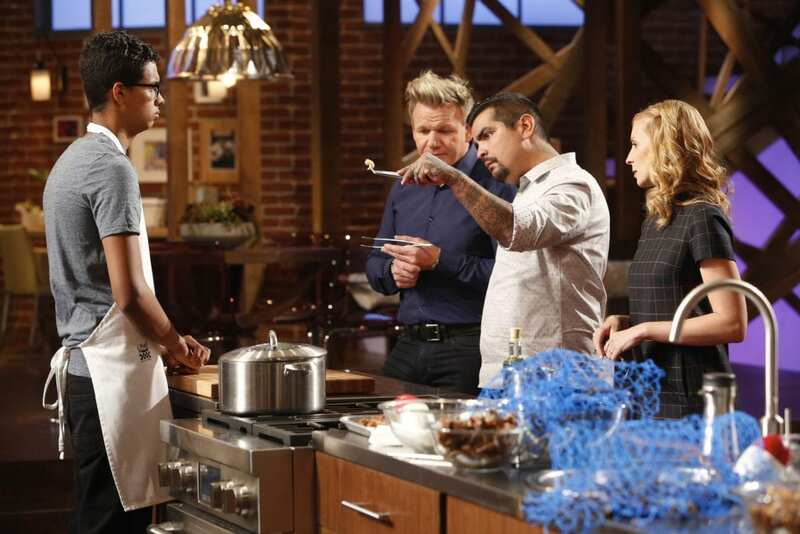 What made you decide to go into the MasterChef Competition? 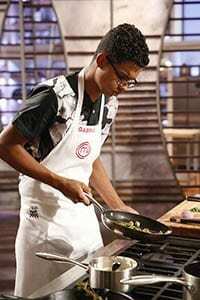 I’ve been a fan of MasterChef since the premiere in 2010! I was relaxing after work, and my sister called me and told me the show was hosting auditions in Oklahoma City, and I jumped at the opportunity! It was a rainy day, and I showed up with my Japanese-style Crispy Pork Belly with Jasmine Rice. They sent me through the process and made it on the show. My interest in cooking began when I was about 7/8 years old. My mother always cooked the most interesting and diverse foods when I was young and did it with such love that I wanted to do the same! She traveled through food and created some of the most amazing dishes, and it inspired me to create. How has having Gordon Ramsey as a mentor affected your career and creativity? I’ve admired Gordon Ramsay since I was nine years old. Being able to cook for him was a dream come true. Having him as a mentor has made me challenge myself in life and in my food and put out only my best. My plating and flavor concepts have been taken to a new level. 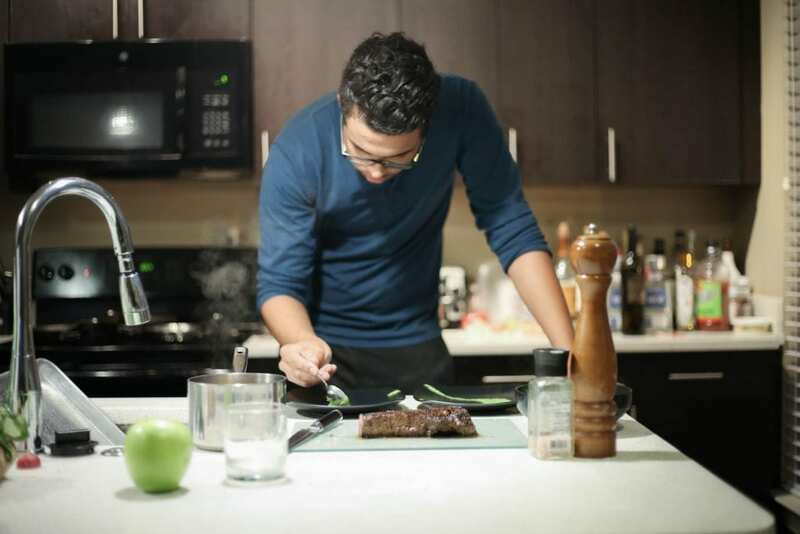 He has inspired me to step out and create my own company Chef Gabe LLC. He has set me on the path to success, and I intend to make him proud. What was your biggest take away from being on Masterchef? My biggest takeaway from MasterChef has to be that no matter the pressure or restrictions, you can create beautiful food and push your abilities to new heights. Having my food judged by such culinary heavyweights as Gordon Ramsay, Aaron Sanchez and Christina Tosi really pushed me to my limits and taught me things about my food I never knew or would’ve known without their guidance. There have been some exciting projects as of late! I’ve recently launched my own website with recipes for any home cook. 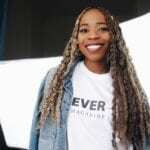 I’ve also been working with local organizations in Oklahoma to create pop-up cooking classes and 5-course dinners as well as different charities to help give something back to the community. 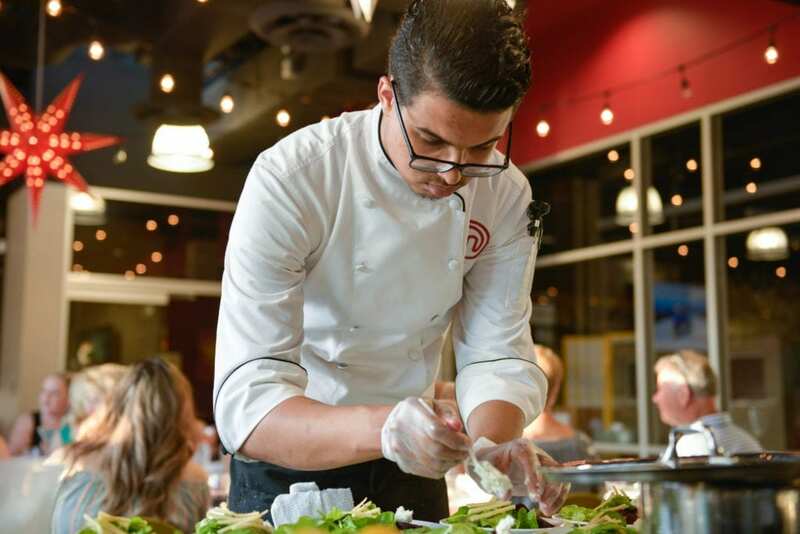 I’m also working on creating different cooking classes and events in different parts of the country, one of which will involve some favorites from my season of MasterChef. Very exciting! How do you get inspiration for your culinary projects/ recipes? My inspiration for recipes or projects varies. Its usually inspired by the ingredients in season and wanting to make those ingredients tell a story. There also times when my recipes are inspired by dishes or times that are nostalgic for me, recreating some of the flavors of my childhood or even by a dishes I see while shopping in the supermarket. The thing I love most about being a chef is being able to transform the simplest of ingredients into something like art. What are some challenges you’ve encountered from being a chef or being in the culinary world? 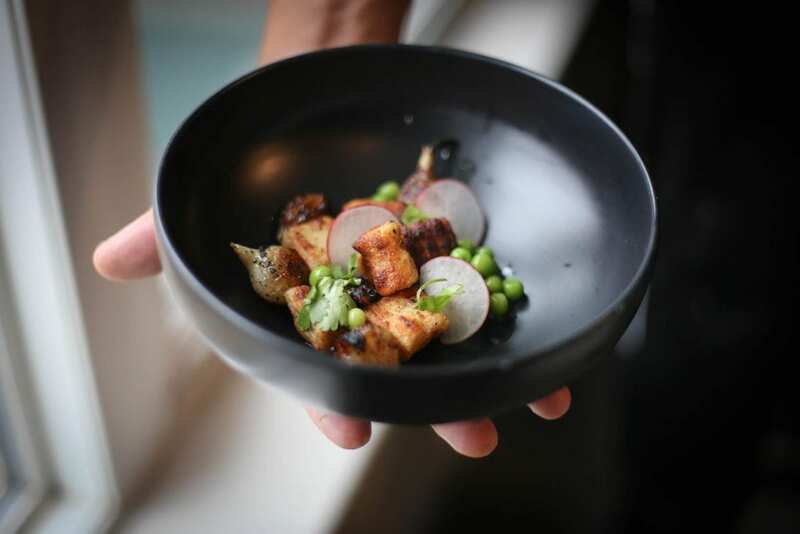 Some of the biggest challenges I’ve faced in the culinary industry thus far have been creating dishes that are innovative and unforgettable yet allow every ingredient to sing their own notes that compose a beautiful song on the plate. How do overcome these challenges? I’ve been able to overcome this obstacle by keeping the individual flavor combinations simple and really treating every ingredient with respect. I make sure that when I am cooking that I give everything I prepare my undivided attention and serve them at their peak. What keeps you creating and inspired? My mother has always been what has inspired my cooking. She was the adventurous eater and always wanted to try out new things in the kitchen. I recently lost her to ovarian cancer and one thing she told me was to never stop cooking. I try to make her proud every day, and that really inspires me to create. The thing I love most about being a chef is being able to transform the simplest of ingredients into something like art. Having the ability to create dishes that protect and enhance the flavors of the ingredients used to make it really brings me joy. I love seeing the look on the face of my clients when the food hits their table, giving them art on a plate that disappears within minutes, it’s amazing. My biggest takeaway from MasterChef has to be that no matter the pressure or restrictions, you can create beautiful food and push your abilities to new heights. Any advice for aspiring chefs or those who want to explore a creative path? For anyone who aspires to be a chef I recommend they really ask themselves what draws them to food. I have encountered several chefs and aspiring chefs that don’t know why they want to cook and give up when it gets tough. Challenge yourself and push your limits. Pick an ingredient and challenge yourself to see how many ways you can prepare it, or just start with perfecting cooking an egg. These things will help drive you and push you to sharpen your skills and master the craft. Any favorite quotes or books and why? One of my favorite quotes comes from Entrepreneur and author Daymond John. He says “Don’t wait for the “perfect time “ you will wait forever.” Always take advantage of the time you’re given.” I think this applies to life in general. I always say “comfort is the enemy of progress.” I believe that people try and wait for that perfect moment because they think that’s when they will be most comfortable, be uncomfortable and allow that to push you, that’s when you’ll see progress.